Sometimes, remembering which vitamin is good for what can seem like alphabet soup. Was it Vitamin A for skin and Vitamin D for strong bones or the other way around? 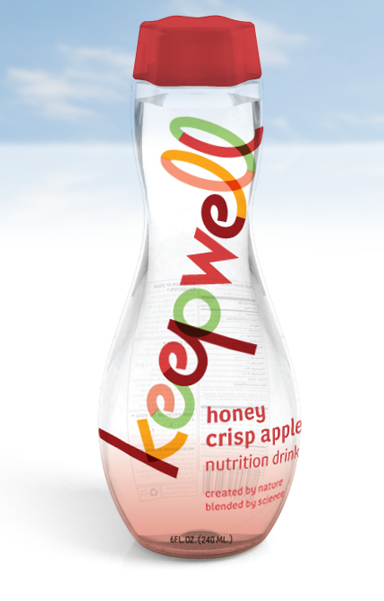 Here’s a handy list of the balanced mix of vitamins and minerals in KeepWell Nutrition Drinks. You need a steady supply of this fat soluble vitamin (it’s stored in your fatty tissue) for healthy skin, good night vision, and an active immune system. It is also known as retinol because it produces the color in the retina of your eyes. It’s found in carotenoids which are present in plant-based foods; one example of a carotenoid is beta-carotene. FIND IT: Animal liver, whole milk, some fortified foods, orange and yellow fruits, yams, spinach, and egg yolks. Vitamin C is an essential water soluble vitamin. Water soluble vitamins dissolve in water and if you have any excess Vitamin C in your system you excrete it. It’s important for tissue strength, helps protect your cell structures, and is used in forming skin, tendons, ligaments and blood vessels. Our bodies don’t manufacture Vitamin C so we need a steady source of it from our diet. FIND IT: Citrus fruits, bell peppers, tomatoes, and strawberries. Because skin manufactures Vitamin D in the presence of sunlight, Vitamin D is known as the “sunshine” vitamin. Fat soluble and stored in the liver, it helps you absorb calcium to keep bones strong and prevent tooth decay. It also helps the body keep the proper amount of phosphorus in your system. FIND IT: Fish, egg yolks, and fortified milk products. Combined with Vitamin C, this vitamin is a potent fighter of “free radicals” (unstable molecules left over from the metabolism of fats). It works in the formation of red blood cells and assists in helping the body use Vitamin K.
FIND IT: Vegetable oils, nuts, seeds, dark green leafy veggies, and whole grains. Composed of several fat soluble substances (stored in the body’s fat cells and liver), this vitamin is produced by beneficial bacteria in the large intestine. Vitamin K helps the body to clot blood properly and is important in bone health. FIND IT: Leafy greens, yogurt, eggs, and fish oils. B Vitamins have a team spirit and need each other to function efficiently in your body. 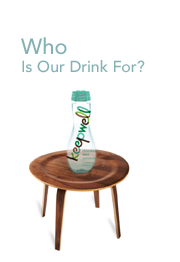 That’s why we’ve included most of them in our KeepWell drinks. Thiamine is required for glucose metabolism. Our bodies use thiamine to help convert carbohydrates into energy. Thiamine is prescribed by physicians to correct nerve and heart issues in some individuals. FIND IT: The outside coverings of whole grains such as rice, oats, and wheat. B1 is also found in vegetables, beans, seeds, and nuts. Riboflavin helps convert fuel (glucose) into energy. Riboflavin assists the body in making Vitamin B6 and Folate into active forms. It’s important for body growth and red blood cell production. FIND IT: Salmon and other oily fish, brewer’s yeast, grains, fruits, and vegetables. Vitamin B3 is used in medications to help lower the “bad” LDL in cholesterol and increase the “good” HDL. B3 is necessary for healthy skin, hair, eyes and liver. FIND IT: Peanuts, poultry, fish, whole grains, beans, avocados, and dried fruits. Vitamin B5 plays a role in the breakdown of fats and carbohydrates for energy and is critical to the manufacture of red blood cells. It is also important in maintaining a healthy digestive tract and it helps the body use other vitamins (particularly B2 or riboflavin). FIND IT: From the Greek word meaning “everywhere”, it is found in most foods but particularly whole grains, egg yolks, fish, sweet potatoes, green peas, and avocados. Also made by intestinal bacteria. Considered one of the most important B vitamins, it helps with many cellular functions including the support of healthy nerve and blood cells. It also works to assist in breaking down proteins. FIND IT: Whole wheat, liver, and in fortified grain products. Known as the “energy vitamin”, B12 functions in the nervous system and brain. It supports proper growth, appetite and red blood cell production. FIND IT: Eggs, dairy products, fish, meats, and tempeh (derived from soybeans). This absorbable form of folic acid is a key nutrient in many metabolic functions including red blood cell formation and the utilization of protein. FIND IT: Dark green leafy vegetables, corn, beans, bean sprouts, wheat, and nutritional yeast. This secondary B-Vitamin aids in the metabolism of fats and carbohydrates. It plays an essential role in the production of amino acids, the building blocks of protein. FIND IT: Rice, yeast, egg yolks, yogurt, naturally fermented foods such as sourdough bread; also made by intestinal bacteria. Minerals are important for supporting many of our bodies’ functions. 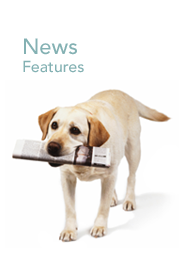 You will find minerals work in the process of bone health and immune support. Calcium helps to maintain the structure of your body by strengthening bones and teeth. Calcium is also critical for the proper working of our nerves, normal muscle contractions, like your heartbeat, and cell division. It promotes a good night’s sleep. Calcium needs Vitamin D and Magnesium to work at its peak performance. FIND IT: Cheese, yogurt, sardines (with bones), broccoli, peas, leafy greens, almonds, tofu, soymilk, dried figs and apricots. 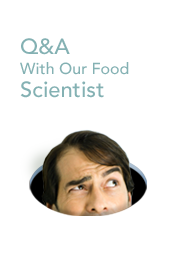 FIND IT: Nutritional and brewers’ yeasts, whole grains, wheat germ, meat, cheese, potato skins, and dried beans. Iodine is an essential trace mineral used by the thyroid gland which controls metabolic rate and body temperature. Iodine is considered so important for our bodies to function well it is added to common salt to make “iodized” salt. It also supports immune function and other metabolic functions. 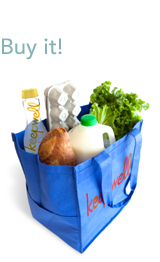 FIND IT: Kelp, seafood, and vegetables if common in the local soil, and milk if added by the dairy. 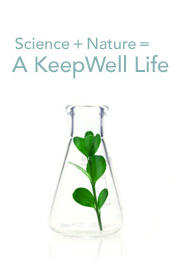 A trace mineral vital to the body’s enzyme systems which regulate cell metabolism. Manganese takes vitamins (such as Vitamin C) and makes proteins. FIND IT: Nuts, seeds, whole grains, peans and beans. This mineral is important for metabolizing carbohydrates and detoxifying sulfites which are sometimes added to foods. FIND IT: Whole grains, beans, vegetables if present in the soil where they are grown. As the second most abundant mineral in the body, after calcium, phosphorus is essential for strong bones and teeth. It is important for energy production and protein synthesis. FIND IT: Meats, fowl, fish, eggs, dairy, nuts, seeds and many vegetables. This mineral plays a role in thyroid function and is needed for our immune systems to work properly. It works as an antioxidant with Vitamin E to protect against “free radicals”. It must be present in the soil where the food is grown. FIND IT: yeast, wheat germ, brown rice, and whole grains. This mineral is essential for several body functions such as energy production, immune function, reproductive health and cell metabolism. FIND IT: Oysters, shellfish, meat, eggs, as well as (where abundant in the growing soil) whole grains, nuts, seeds, pumpkin and squash.